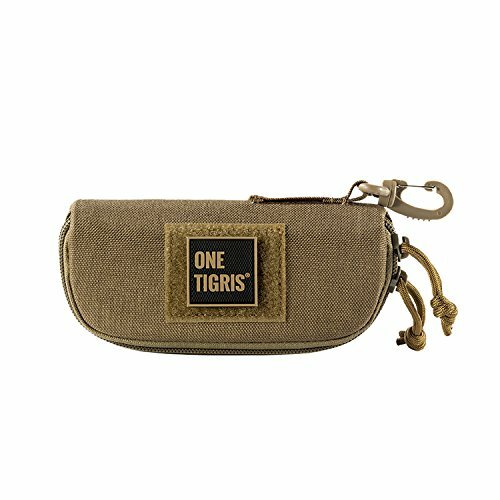 WHY CHOOSE ONETIGRIS TACTICAL MOLLE ZIPPER SUNGLASSES HARD CASE? A tactical glasses hard case for our fellow outdoor enthusiasts. Secure it to your MOLLE gear or tear off our morale patch and just slap the case onto a Velcro backing. Large enough to hold the most macho and epic sunglasses, crush resistant, chaos-proof, with a pivoting hook and small loop attachments.